A dentist appointment in town today meant we had to leave all the horses in Daisy’s capable hands. I haven’t been to Lerwick for many weeks. Truth be told is I can’t be arsed and so put off all my messages until the list is too long to ignore and the trip is worth the petrol. One of the items on my list was more wool to felt with. It is for needle-felting – a craft that I am trying to master. And I found some – Messrs Jamieson & Smith Ltd, Shetland wool brokers. 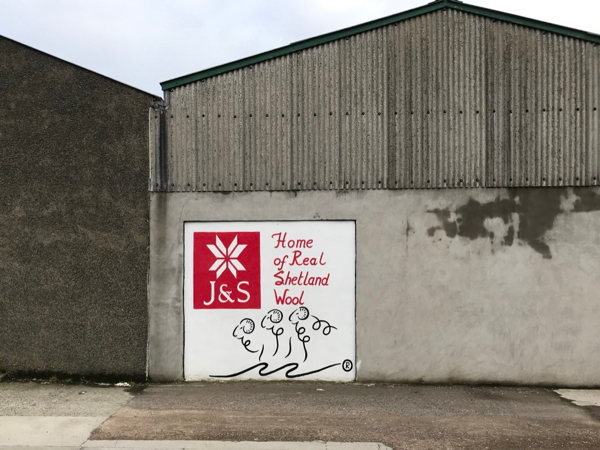 The home of Shetland wool, indeed – natural combed tops (apparently – I am learning fast here). I did ask if they had any dyed coloured ones but no, they don’t do that now which is a shame. I would much rather buy local than hit the internet. Every available wall had wool. I could’ve spent a fortune in there and I don’t even knit! For me, this is a different world but one I have a secret hankering for. I think to myself “if only I could knit” but the realist in me remembers the hours of childhood knitting torture and so it is never going to happen. I have a panic-attack now just thinking about it. But the needle-felting is my way forward. I enjoy it very much and hopefully I will move on from bird/penguins to bigger beasties. 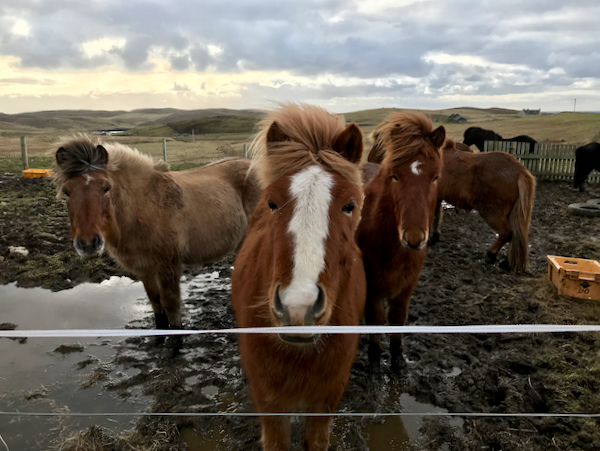 This entry was posted in MyShetland on February 11, 2019 by Frances. 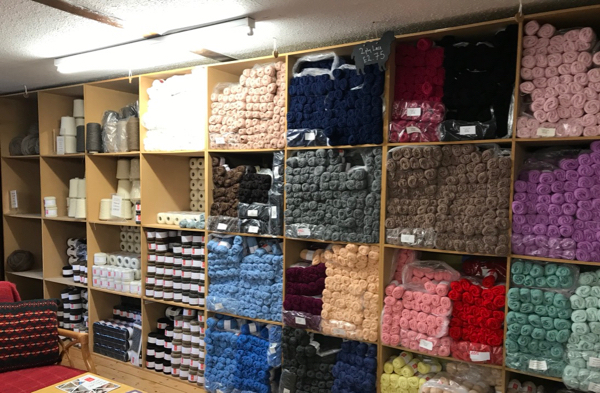 I can’t remember if Jamisons in Sandness have colored fiber but they do color their fiber as they weave cloth and of course have yarn in all colors. Might see, since you live close, if they have any to share with you. 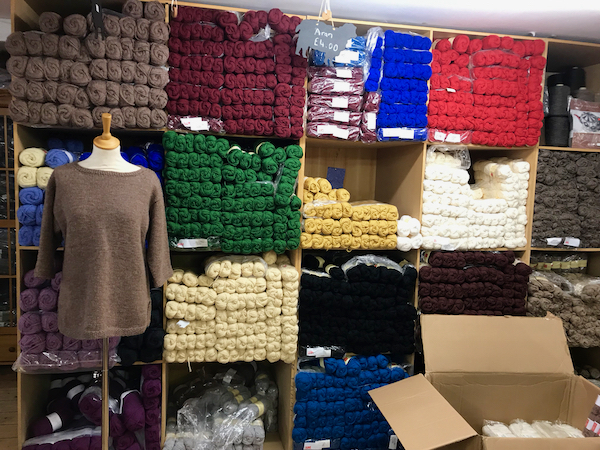 When we were in Shetland last fall J& S had colored fiber, maybe they sold out. That looks like a wonderful place to spend an afternoon or so! Knitting a scarf is an easy way to keep the hands busy and create something useful. I use this pattern all the time with all types of yarn , solid or self striping. (never have used Noro, its too pricey). Its a simple Knit/Purl ribbing with no right or wrong side. You don’t have to be to picky about needle size or yarn… just pick a needle size that works with the weight of the yarn. Bulky knits up the fastest, though I usually have a worsted weight. 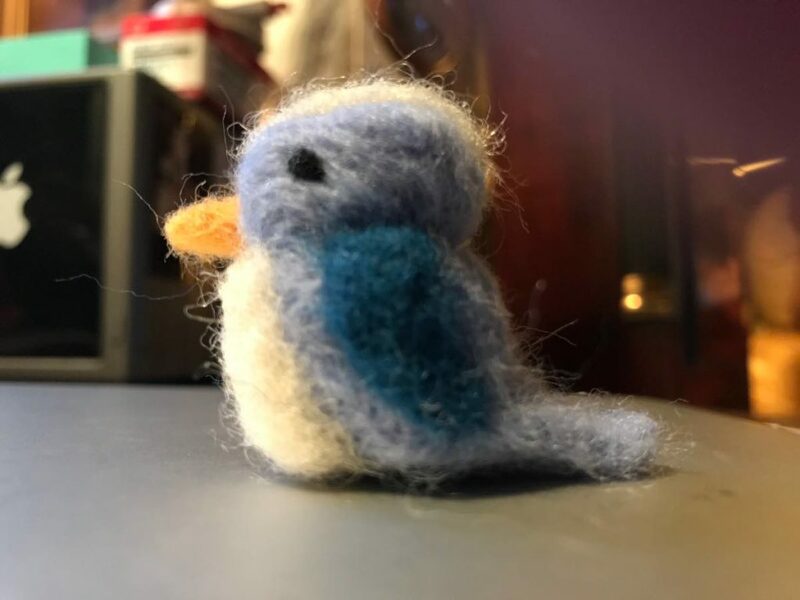 Love the needle felting projects … keep them coming. looks like shetland outside at themoment, cold and wet. Knitting today is not the torture of our youth. Do try a nice flat scarf with yummy yarn. You may be surprised to find you like knitting. As for felting, I too am trying to get proportions right and still have a firm base for my gnome to stand upright. It’s the colors that probably attract you. So many an it all looks glorious. 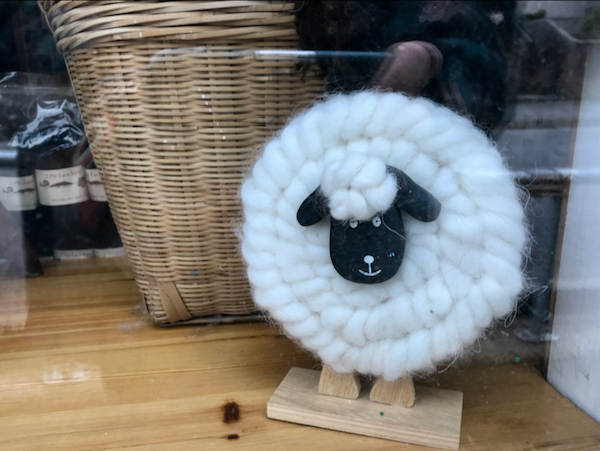 Now, on to your needle-felting! Can’t wait to see what you do next. Sweet lil birdie! I love J&S, have bought lovely wool online from them. I’m happy you enjoy needle felting. 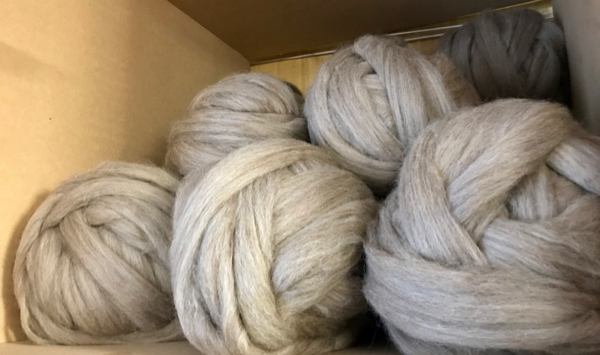 As an alternative to buying from the net, perhaps there is a local Shetland fibre fair sometime during the year, at which vendors sell their woolly goods, some natural-coloured, some dyed. Or perhaps I could send/gift you some (there are ~16 yarn shops where I live). Just let me know which colors you’re looking for. As an avid (some might say obsessed) knitter, I caution anyone who even considers knitting. It can be a rabbit hole — so many beautiful yarns from all over the world, so many patterns (new ones every day!). But for me, it’s truly relaxing and calming (zen time). Unfortunately, I tend to neglect other aspects of my life. Just one more row…oops. With the needle felting, you’re still getting to play with fiber! What a sweet little bird, Frances! I love the natural colours – I imagine they would make perfect sheeples and ponies! Visit soon – I need you! I hate to hear of people who got put off knitting (or any skill or hobby) as a child. Usually it’s because an adult lacked patience or knowledge and ruined it for them. If you’re not feeling the love for knitting, maybe explore dyeing with natural dyes?